Protest at city hall against police brutality turns chaotic after city council ignores grieving family | Fight Back! 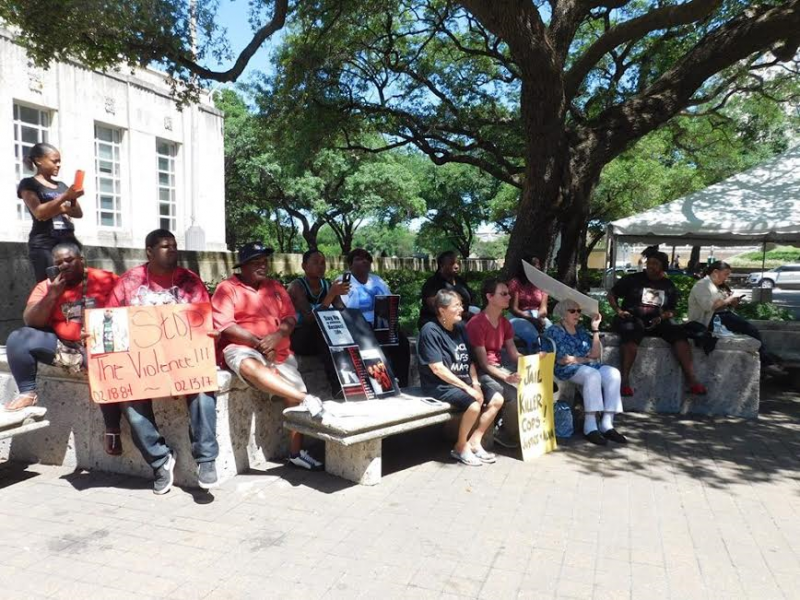 Houston, TX - About 20 people rallied in front of City Hall, April 4, to demand Justice for Alva Braziel and Vincent “Vido” Young, both of whom were murdered by Houston police. They passed out a leaflet to people at City Hall with the photo of the cops that killed Alva Braziel with the title "Wanted for murder." 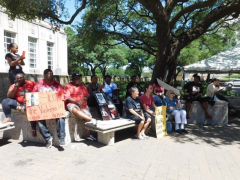 Before the rally, activists received calls from Houston Police Department Sargent William Anthony and City Councilmembers Michael Kubosh and Dwight Boykins, asking them not to speak at City Hall. They were trying to intimidate the activists and prevent them from speaking out against police brutality. After the rally, the organization joined the family of Vincent Young to speak at the city council meeting. The group was placed almost last on the docket, and after three hours of waiting, they were called to speak. The city council was doing everything to silence the voices of opposition to their racist law enforcement practices. The organization ended up being escorted out of City Hall for directing their protest at members of city council. They left the room shouting, “Say his name - Vincent Young!” All African American members of the council left before the group spoke. The rally was organized by the Justice 4 Alva Braziel Campaign, which is organized by the family of Alva Braziel and Vincent Young.